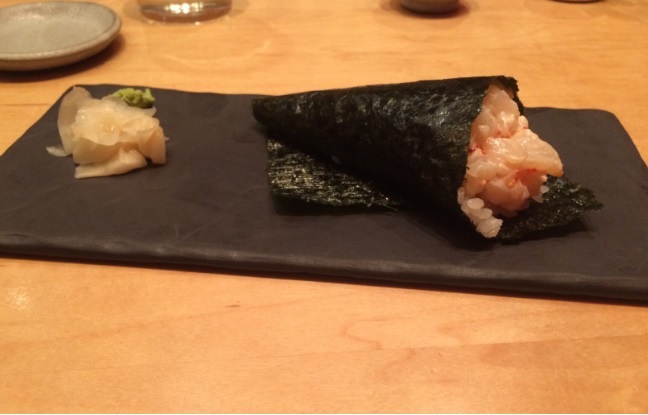 Ichimura (69 Leonard Str, New York, NY 10013, Phone: 212-404-4600, URL: https://www.sushiichimuranyc.com ) is situated in a quiet street of Tribeca. You push open a discrete black frame glass door (the mention ICHIMURA on it), and are greeted with a small waiting area bathed in immaculate white tones. Inside the sushiya, blonde and light cream tones as well as a brown-quartz counter from Brazil dominates the serene room. 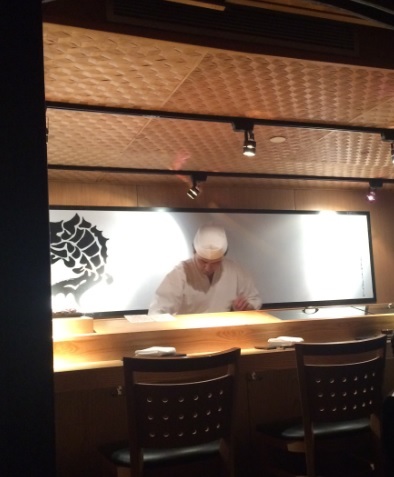 Tokyo trained Chef Eiji Ichimura is regarded in NYC as one of their best Sushi Masters. He spent 40 years perfecting his craft. He was rewarded with 2 Michelin stars as well as 3 stars from the New York Times (In the competitive market of sushiyas in NYC, that speaks volume) when he was working at Brushstroke, which he left last year to open his own sushiya in early 2017. As in the glorious days of the true artisan Chef, Chef Ichimura is alone behind his counter, crafting his sushi pieces. 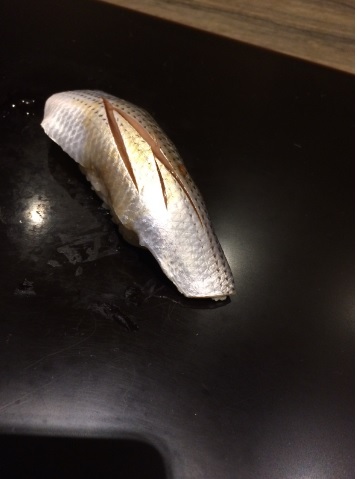 According to the medias, Master Chef Ichimura likes enhancing flavors with his own ways of aging fish. Eventhough his sushis are crafted with respect to the traditional Edo style, they do not feel as “austere” on the palate as some other traditional sushis. Then a “communion” between Master Chef Ichimura and his patrons, a “communion” that came in the form of a series of 14 nigiris, served one nigiri at a time to each of the diners. To the contrary of sushi Azabu, which rice just “melts” with the fish on your palate (one effect I like), here at Ichimura, you will feel both the grains of rice ( their rice, at Ichimura, is seasoned with a combination of red and white vinegar that is not strong, so that it does not negate the flavor of the fish) and the fish, and yet, they are complementary (which, regardless of the debates over which technique is the best for the combination of sushi rice and fish .. is what you are looking for in a piece of sushi…the fish and the rice of your sushi need to complement each other). During my visit, here, at Ichimura, the preparation of the rice, its temperature, its effect in mouth varied. This was intentional, of course, and showcased how meticulous Chef Ichimura is about the interraction of his sushi rice with the fish. Personally, I like the two methods of the preparation of the sushi rice: serving great quality rice at a temperature and consistency the Master Chef deems optimal to pair with the majority of his fishes (which is, obviously, less time consuming and may appear as less complex as the other method….but that did not stop the sushi experts in Tokyo to consider Mizutani –now, closed — as one of their best sushiyas) or adjusting the texture/temperature of the rice to the fish (naturally, more spectacular…but as with everything aiming at the spectacular, one single “miss” may lead to disaster. When I was in Tokyo, I tried one sushiya of this sort, a highly regarded one, actually, but it was a big disappointment). Each nigiri is brushed with a well judged quantity of sweet soy sauce, allowing for a nice complexity of enjoyable flavors. To the contrary of some other sushiyas where the flavor comes either from the rice or from the sauce that is used to brush the sushi, here, the flavors came from every single component of each sushi piece, with the very important observation that …they went harmoniously well together! -Either the rice is warm and the Chef starts with fishes that are a better match to warmer rice. Then, he adapts his fish offerings to the changing temperatures of his rice. -his batch of rice has rice of different doneness and / or temperature. Do not try to think that you are smart enough to second guess anything here! … as the TWO scenarios are POSSIBLE! A black laquered plate made an appearance on the sushi counter. The first nigiri to hit that plate was the striped jack – rice is a bit warm, and you feel the grains (the grains he uses are large ones) desintegrating ONLY once in mouth, which is an enjoyable feeling in this particular case. The warm rice lifted the flavor of the fish really well. The consistency of the rice is carefully engineered so that different levels of softness of the rice are on display depending on the fish topping. Whatever the consistency, the rice always sticks together (even world class Mizutani had one or two pieces which rice failed to stick together). 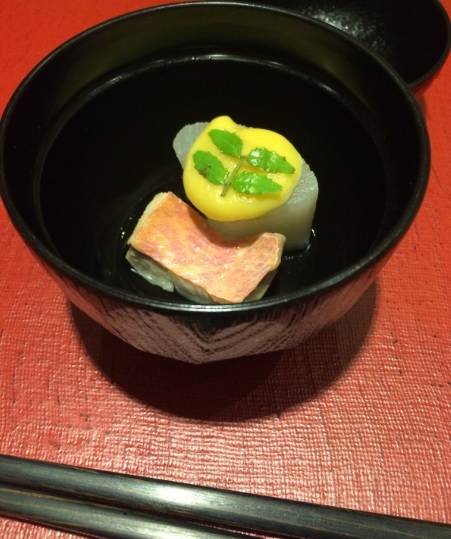 The subsequent nigiris had rice which temperatures varied in their progression towards body temperature and the contrast between the rice temperatures and the fish was very enjoyable. Whiting, ocean trout, golden snapper. Gizzard shad – Curing process that is well mastered, the moment they chose to serve it was also well judged (once you cure the gizzard shad, you need to know when to serve it). 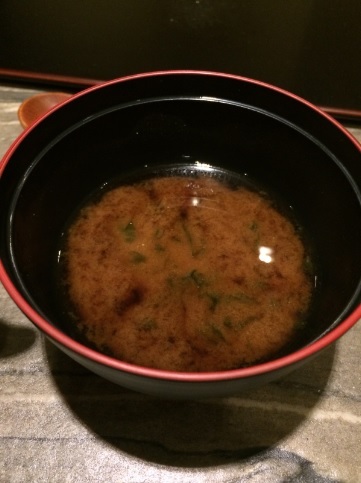 After that array of great sushis, the “communion ” deserved a little pause during which the waitstaff reappeared, with this time the serving of the Miso soup – the miso soup had a base of roasted quality nori in it, which led to a taste that’s very earthy. 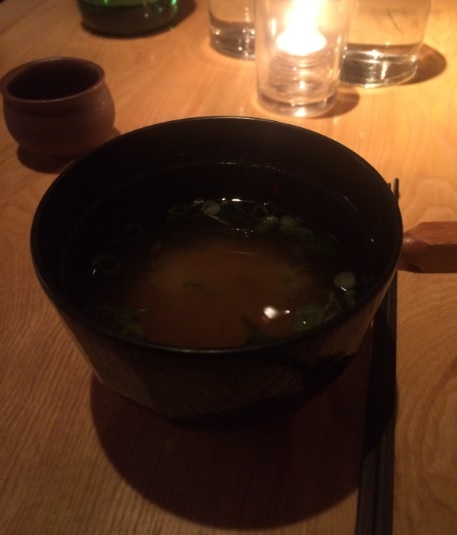 Interesting is how I would describe it, but I am afraid I do not have the required palate to properly enjoy this miso soup. Chef Ichimura left the room, to prepare himself for the next seating (they have two seatings per night) : we knew this, because he went back and forth between his kitchen (behind a closed door) and his sushi counter, with, in his hands, the dinnerware he was going to use for the next seating. 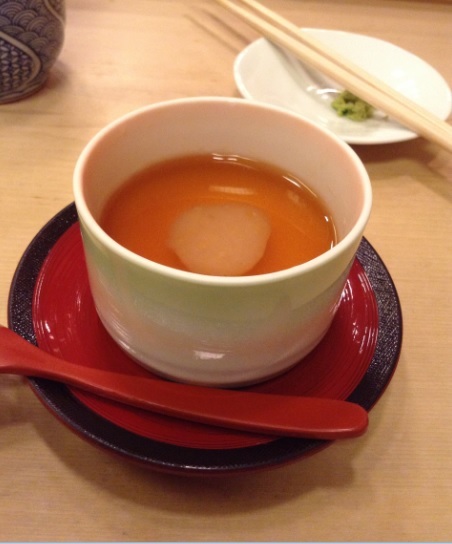 The meal came to an end with a serving of Hojicha tea. Pros: (1)An intimate sushi dining experience of great level, where a respectable experienced Sushi Master is alone, behind his counter, crafting some of the very best sushis of NYC (2)Master sushi Chef Ichimura takes very seriously the importance of associating the right texture and temperature of the rice to the right fish. 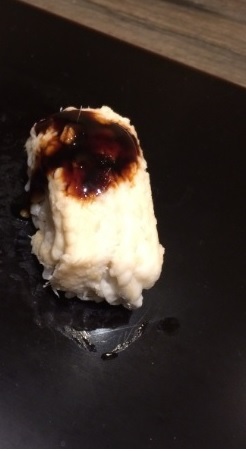 It’s supposed to be like that, at top tier sushiyas, but even in Tokyo, many sushi Chefs serve their rice at the same temperature, because it is less time consuming…or, in some cases, because they just do not know how to do it properly. 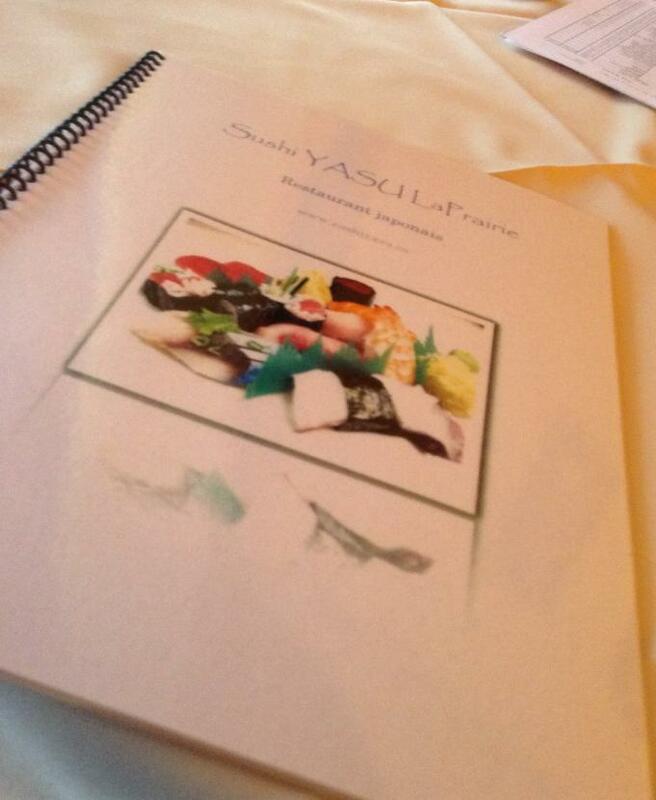 Overall food rating (Categ: top tier sushiya in NYC) 9/10. There was everything you would expect from a first-rate sushiya in a world class foodie city of the caliber of NYC: superior technique, great flavors, quality ingredients. Then, a bit more: plenty of thoughts were put in the rice preparation and that did add a lot to the enjoyment of the pieces of sushis. Bottom line: Ichimura is, obviously, one of the great Sushi Masters of NYC, his Sushiya, a destination sushiya outside of Japan. 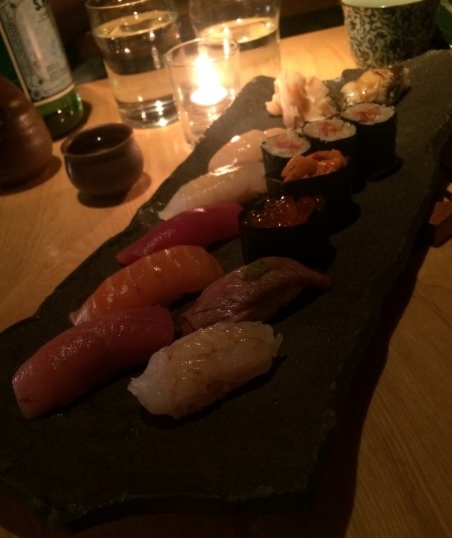 NYC has a lot of great sushiyas and we all have our preferred ones. Azabu is currently my preferred sushiya in NYC .My love for Azabu aside, I was fair with Ichimura: it deserved a higher rating because it went to great lengths to make the work of the sushi rice technically complex . It deserved the nice words their cooking and craft gave me no other choice but to use profusely! 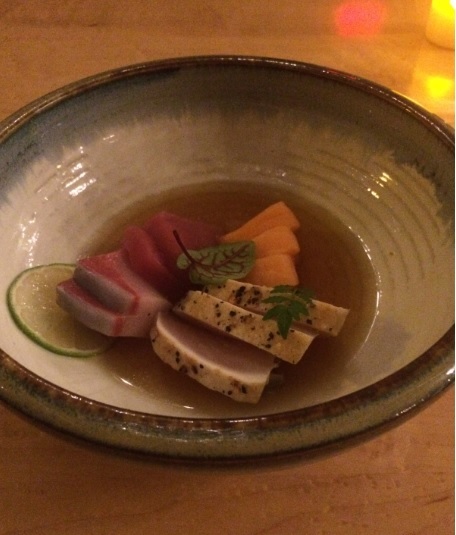 Just ensure you understand Ichimura’s style: it is Edo style sushi enhanced by Chef Ichimura’s creativity. He bows before the altar of authenticity, therefore there is no butane blow torch, no salmon, no gimmicky interpretation of sushi, which is what I prefer. UPDATE SUMMER 2017: CHEF ICHIMURA IS NOW WORKING AT UCHU‘S SUSHI BAR. This review of restaurant Park (Addr: 378 Victoria Ave, Westmount, QC; Phone:514-750-7534) completes my recent reviews of some of the best —- according to our local foodie experts (major local food journalists, major local foodie websites) —- sushis of Montreal. 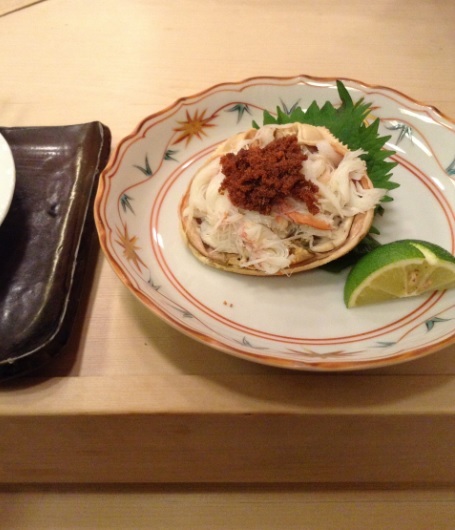 The other two sushi spots that are highly regarded by those sources and that I have reviewed are Jun I and Sushi Yumi. Antonio Park is the most talked about restaurateur and chef of our local restaurant scene. I discovered his work years ago when he was at Kaizen. At Park, he offers his take on contemporary cosmopolitan cuisine that is influenced by Japan (non traditional sushi, sort of kaiseki) as well as his Korean/Latin American background (the ingredients he does use, his takes on some korean staples). I ordered the Omakase, which, on the evening of my visit, did consist of 5 courses (if I’d choose the duck magret) or 6 courses (option of the sushi instead of the duck magret). Overall food rating: 5.5/10 (Categ: Montreal fine dining standards) – You can’t afford one single 0/10 dish when you are not a world class restaurant. I did not invent that 0/10. 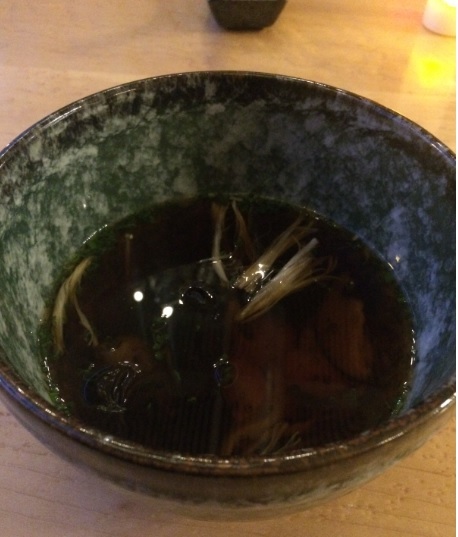 Your broth …well, ….water tasted better! Get it? What rating would you give to a dish like that if I was serving you a broth that was less exciting than water??? At L’Arpege, to take an example, they could afford that. They could afford even 2 or 3 dishes like that. Because they have the kind of exceptional skills to wipe off such disappointments. Not you. Antonio (he was not present on that evening) would have definitely lifted up those dishes. Though, even with Antonio, let us get the records straight: Park is no exceptional eatery. That said, this was still a tolerable meal / slightly above average meal… by the weak standards of the majority (there are, of course, some few Japanese artisan Chef restaurants in town that are consistently good, but this time I wanted to focus on what the local experts had for us) of our local Japanese-inspired eateries. “Tolerable” happens to be over flattering in this case. I am generally not a diner who insists on cost performance, as proven elsewhere on this blog ( I have never mentioned cost at L’Arpege or L’Ambroisie, some of world’s most costliest restaurants), but this meal at Park is really way too $$$ for what I was getting (my meal at Hvor did cost way less with far superior cooking and dazzling produce). 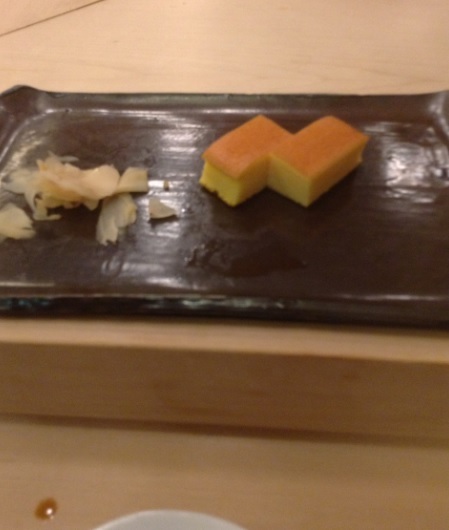 Meaning that I do not even have to go abroad to realize that this particular omakase is not worthy of the pricetag. Cons: A restaurant of this reputation and charging what they are charging should ensure that …when the main Chef is not working, the performance remains worthy of the pricetag. Bottom line: Montreal is not a sushi destination, we all know that, but the sushi scene used to be way better here back in the days when Mikado/Jun I were in their prime + there was a hole-in-a-wall sushiya on le plateau that was really good by mtl sushi standards. The rational thing to do is to save your money and your time and just go to NYC for your fix of good sushi. At least, there, you will understand where your hard earned money has gone and you will have a good time. Jun I (Addr: 156 Avenue Laurier O, Montréal, QC, Phone: 514-276-5864 ) is my long time preferred sushiya in Montreal. During my last meal at Jun I (click here for that review), Master Chef Junichi Ikematsu was present at his stronghold and his craft was a benchmark sushi meal by Montreal standards. 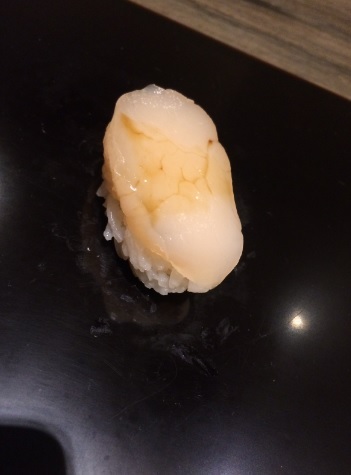 It might sound unfair to review Jun I right after the review of a first-rate sushiya of the caliber of Sushi Azabu, but not to worry: both are not competing in the same category, and that is taken into account in my assessment. I am also someone who will never become jaded: I can eat at the best sushiya of Japan one day, and still appreciate a perfectly well crafted sushi in North America the next day without allowing my appreciation of the former to influence my impression of the latter. 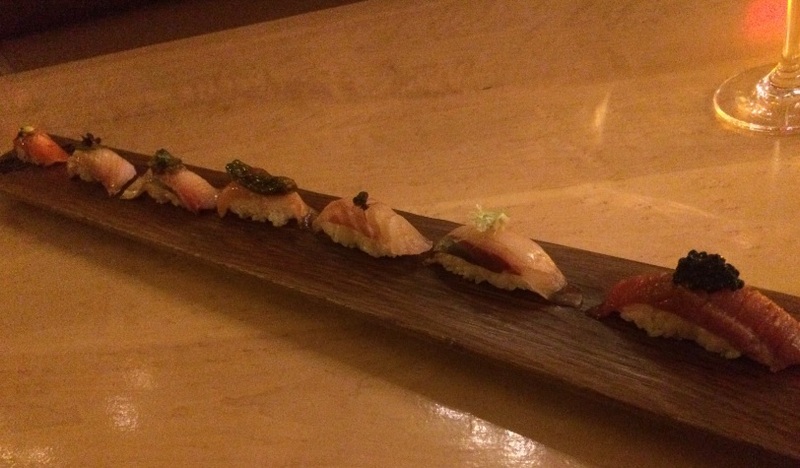 The standard of sushi in Montreal is nowhere near what you will find in NYC. 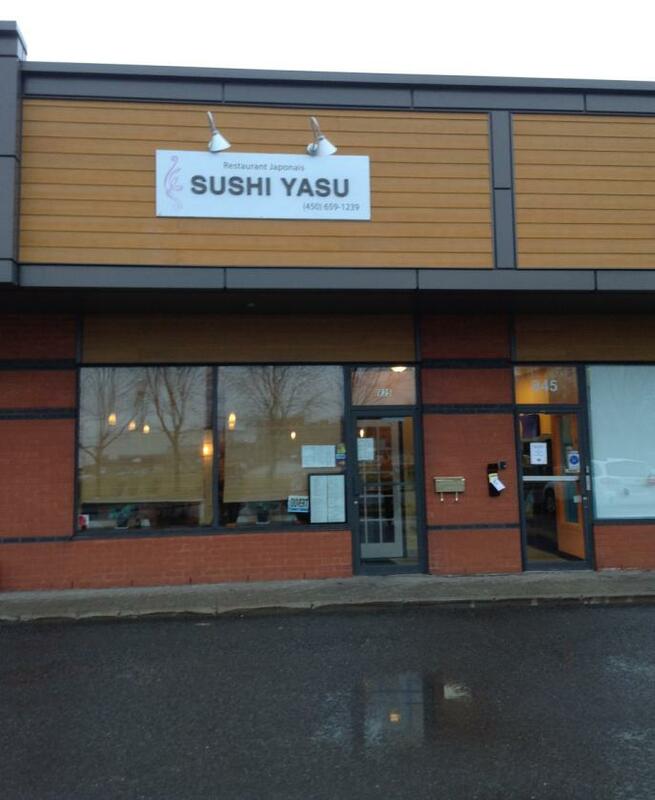 Just to give you an idea of how far behind (their peers of NYC) our local sushiyas stand, here are couple of laughable examples that “””speak volume”””: we are in 2017 and … fresh grated wasabi at a sushiya in Montreal is still a futuristic project. Actually, there is probably one wasabi root in the drawer, lol…BUT it will be served to the happy few (local celebs, a poster diner, etc). It sounds surreal, but that is Montreal. Primitive examples of that sort abound. The problem is that Montreal has nothing of a serious foodie scene, in reality. I said “the problem”, but I should have accurately submitted that it is “the reason” …one of the reasons, actually … why montreal has nothing of a serious foodie scene. 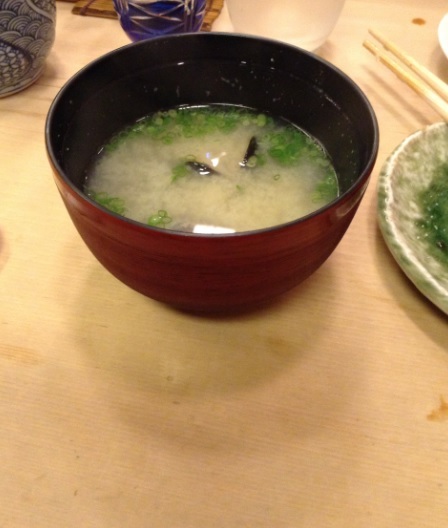 Therefore I returned to Jun I with the right expectations, first and foremost to enjoy my food and have a good time. And if there is any reference point to look for, then it will be the one that Jun I did set during my last meal right here, 3 years ago under their roof, as that meal remains the best sushi meal I ever had in Montreal. 3 years later, how does Jun I fare? Jun I would be in NYC and I would gladly look into online reviews and find out. But in Montreal, that would be an exercise as useless as trying to talk to a rabbit. One would think that the local food journalists could help enlightening us on Jun I’s whereabouts, but apart one or two of them, our so called food journalists do essentially run after novelty. Food journalist Tastet noticed that in 2015, a year when Jun I was still in its prime, most food journalists had forgotten about him. I am not surprised at all: our food journalists are basically just hipsters. Anyways, most of them know Japan just by the name and the closest they got to Japan is by drinking sake and feeding themselves on americanized sushis. 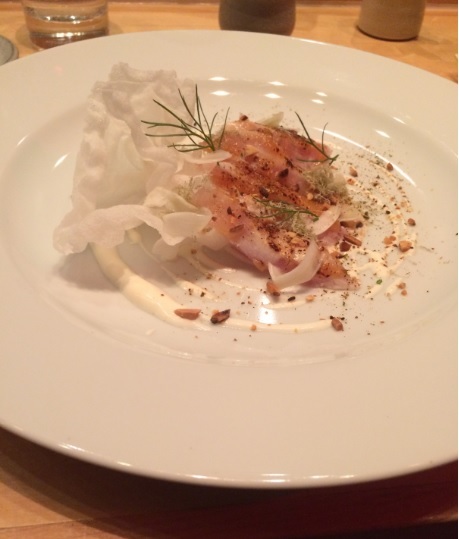 Overall food rating(Category – Fine dining sushi in Montreal): 5/10 The 3 young folks at the helm, on this evening, were not in the same league as Master Chef Junichi Ikematsu. From slicing the fish, pushing their craft beyond the ordinary, etc..they have many rivers to cross. They are young, cool, nice looking and the future pertains to them. I wish them the best. I really do. I also hope, for …them, that they continue to learn and develop a sincere passion for their job. Passion, they will need. For now, they need a Master around them (I have no clue if Chef Junichi Ikematsu had a day off or if he is still associated with the restaurant as I did not inform myself about it). On my way out, I remembered that this area where Jun I is located had couple of great eateries, around a decade ago (the “golden era” of my foodie existence in Montreal) : Barros Luco, Chao Phraya, La Chronique, Palais de L’Inde, Wilensky‘s. Chao is not what it used to be. La Chronique remains in my top 3 in town. Palais de L’Inde burnt, Palais de L’Inde I will miss a lot. Wilensky closes at 4pm, therefore it was closed on that evening (btw: I was there this past summer. I still like Wilensky’s but will submit that the quantity of meat in their sandwich is not as generous as it once was). Barros used to be a favourite, but once I pushed open their door, whoever was at the counter seemed more interested to chat with his pal than serving his clients. Perhaps a sign that there was not much to feast on, anymore. Montreal, oh Montreal, one of world’s most insconsistent restaurant scenes!!! You just can’t keep doing things right….don’t you?? So I went to the last nearby ‘survivor’ of that ‘golden area’, Fairmount bagel . At FB, the old guard is not there anymore, but the young gunz are still doing a great job. I told one of the young gunz at FB that I was surprised that they are still doing this well after so many years. His answer will be my conclusion…the appropriate conclusion… to the current review : “” You learn from those in the know. However painful the journey, if you have the last laugh, then you know you have achieved nothing. If they have the last laugh, then you know you are doing something great “”. Food for thoughts. Dear Jun I, I really hope that was just an off day! My thoughts after this meal: I am a long time fan of Jun I, therefore this experience was definitely not one I was expecting. I know, that is life, and life goes on. I was just not prepared mentally for this, under their roof. 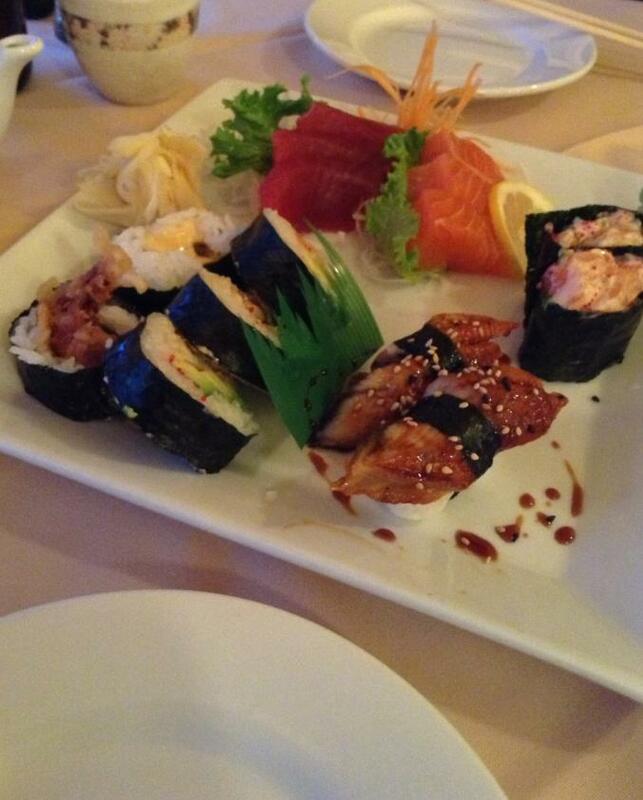 There is a reason why Sushi Masters have spent years perfecting their craft. 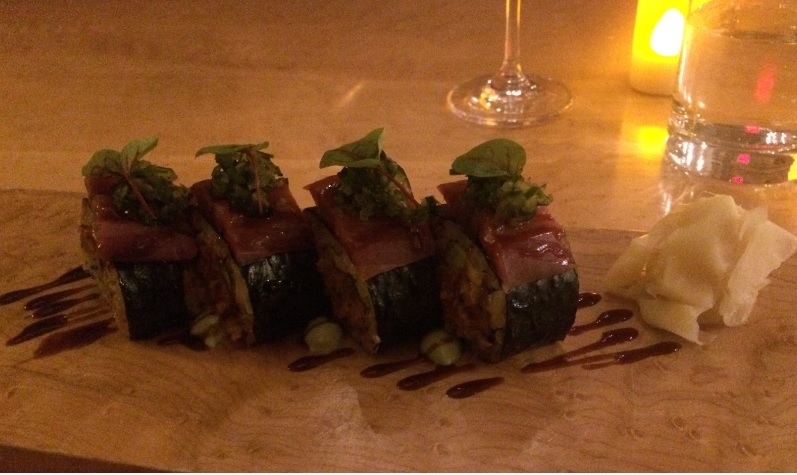 There is a reason why Sushi is considered as true art by many people. I know that the newer generations of cooks can’t afford spending the time that their predecessors did, and that is understandable. But then, ensure you spend some time mastering the fundamentals (knife skills, handling of the fish, the rice, the basic gestures of a skilled and experienced itamae) alongside various Sushi Masters, those in the know. Observing is also very important as in observing how a true Master Chef keeps his working space organized. You can do that without the long and painful years that the older generations of Sushi Chefs went through. I was sitting at the sushi counter, on that evening, and that is what came to mind. In a city with many great Japanese sushi Chefs, there is a sushiya for all kind of diners (the one who likes luxury, the one who does not, etc). 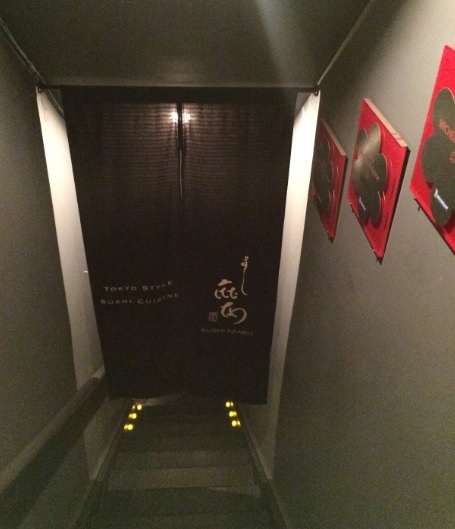 My ideal sushiya has a great sushi Master at the helm, of course, and a decor that is intimate. A service that is great. A genuine feel of Japan. 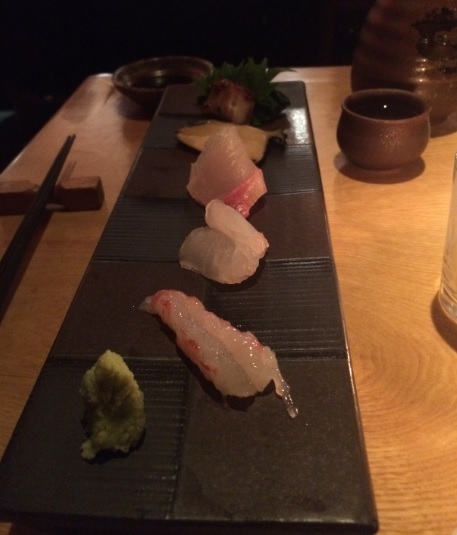 In New York, as far as top sushiya goes, Sushi Azabu is that ‘ONE’ for me. 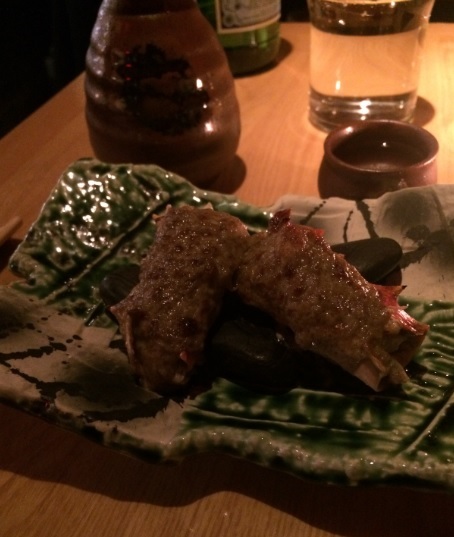 In NYC, you have Masa, which according to their local sushi experts, is on top of the roof of their top tier sushiyas. 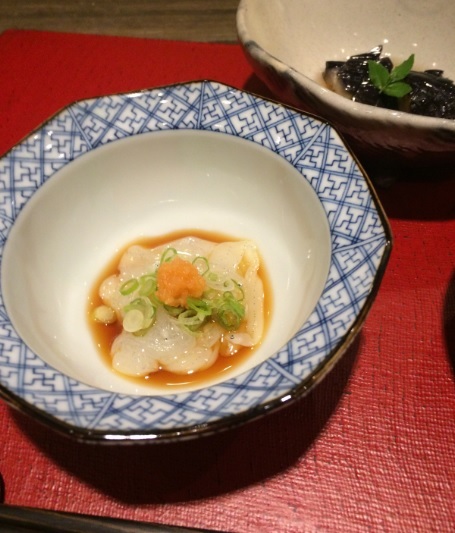 Then, you have their other elite sushiyas , such as Nakazawa, Yasuda, Azabu, 15 East. 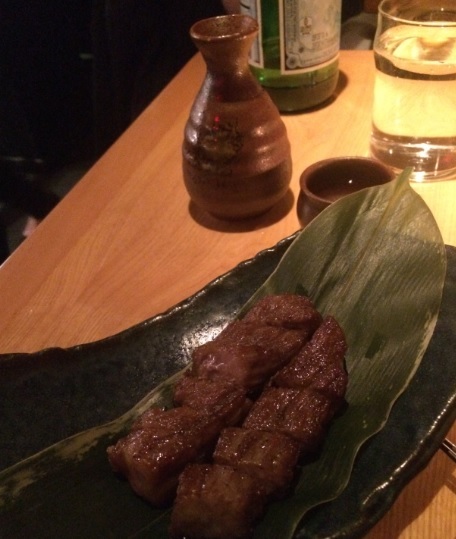 I tried Yasuda (I was missing the superb knife skills as well as the superior work of the textures that I better enjoyed at other sushiyas in Nyc) and 15 East (I find Azabu better, in comparison, but 15 East had couple of noteworthy food items) in 2015. 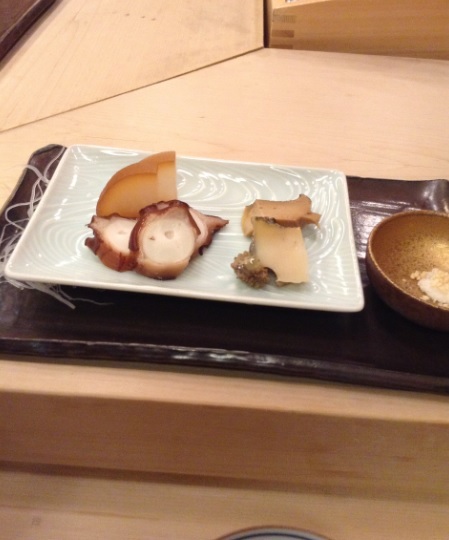 Never tried Nakazawa, Masa and Jewel Bako. It is NYC, so keep in mind that the price tag (therefore the cost performance, especially in comparison to what you can get in Japan at equal cost) will oftently be the issue. 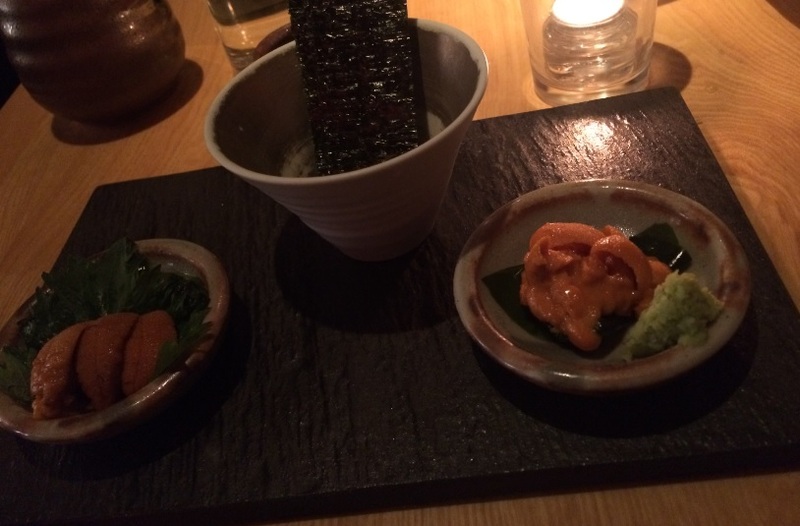 I tried Azabu on Saturday Febr 4th 2017. 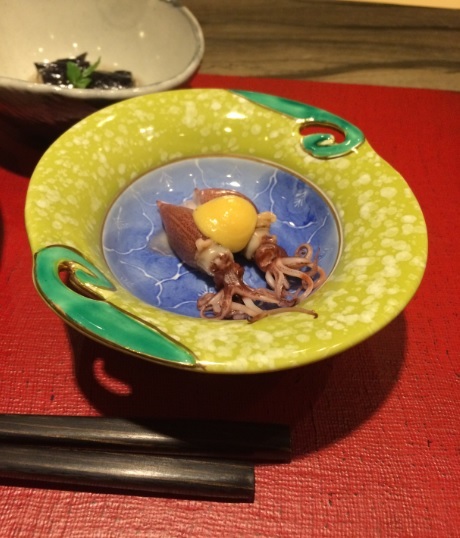 Then an array of seafood items composed of octopus (8/10 superb chew and texture), A first-rate piece of perfectly tenderized abalone which kept its maritime flavor at the forefront (9/10), amberjack and fluke and shrimp of impeccable quality. The wasabi is freshly grated wasabi root imported from Japan. 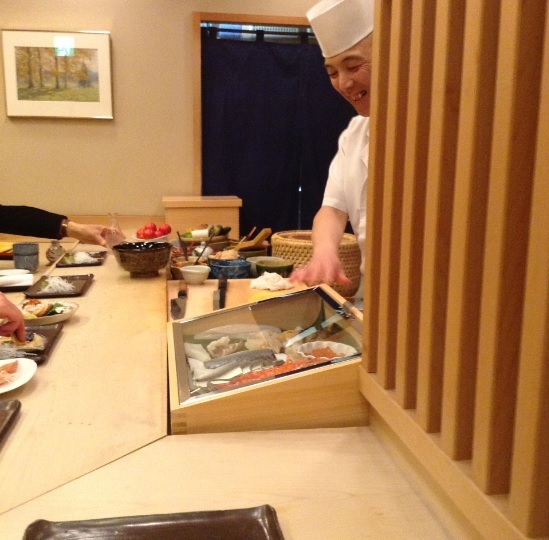 This was a first-rate collection of sushis, even by the standard of a mid level sushiya in Tokyo. 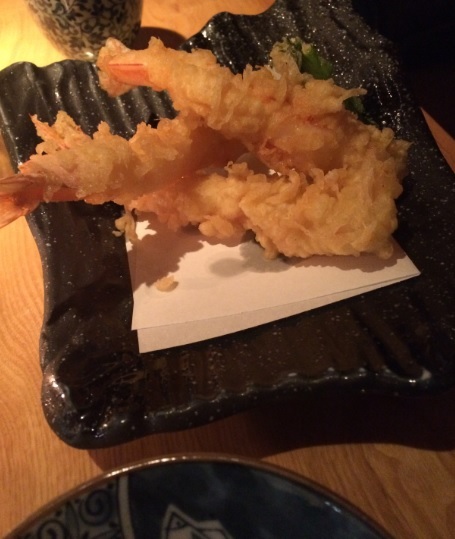 My current girlfriend ordered some shrimp tempura which she had nothing to complain about. I can see how extraordinarily lighter such batter could be in the hands of a specialist of the tempura, but Azabu is a sushiya, not a specialist of the tempura, and the batter was still very well executed, the tempura light and tasting delicious, (8/10). She also had her wagyu beef steak, which was fine but both her and myself do regard wagyu as a (generally) vastly overrated meat. The finest Wagyu I had in Japan have not changed my opinion about that, as already debated here. 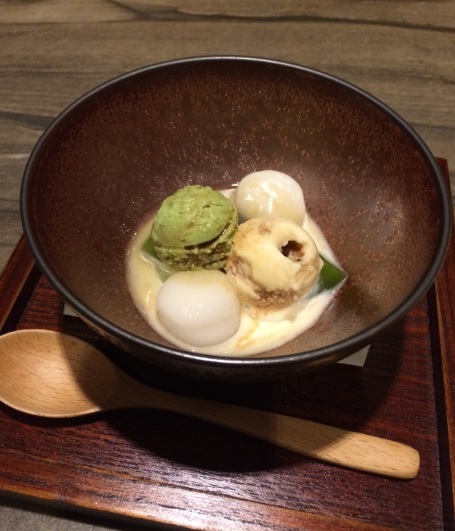 We ended the meal with some flawlessly textured home made green tea ice cream (for me) and an equally excellent Mochi and Vanilla / chocolate ice cream for her (9/10). 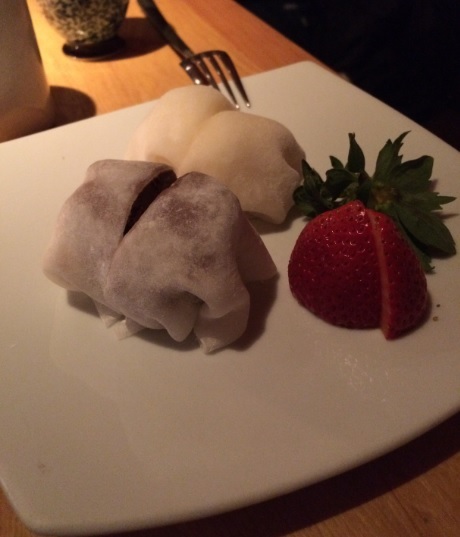 I ordered the Mochi for my girlfriend to introduce her to the importance of textures in food for the Japanese. There was a strawberry that came with her dessert, but I forgot to ask if it also came from Japan. The last time I was in Japan, I did try some of their most celebrated (consequently expensive) strawberries and left unimpressed. They tasted as good as any strawberry anywhere else on planet earth (which is exactly how this one at Azabu tasted like, too). 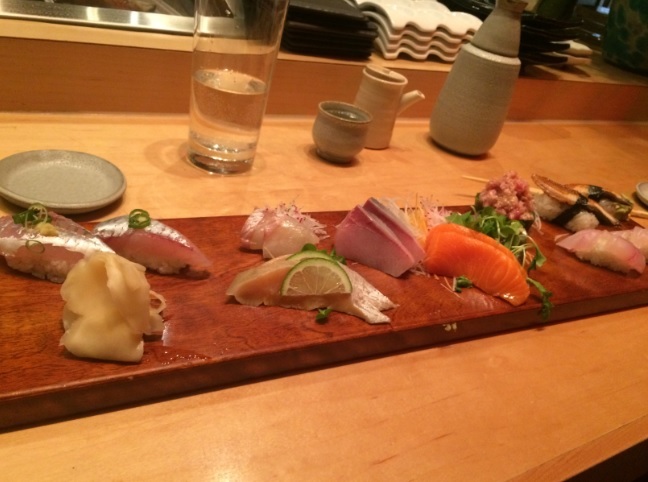 Pros: Azabu deserves to be considered among NYC’s top tier sushiyas. 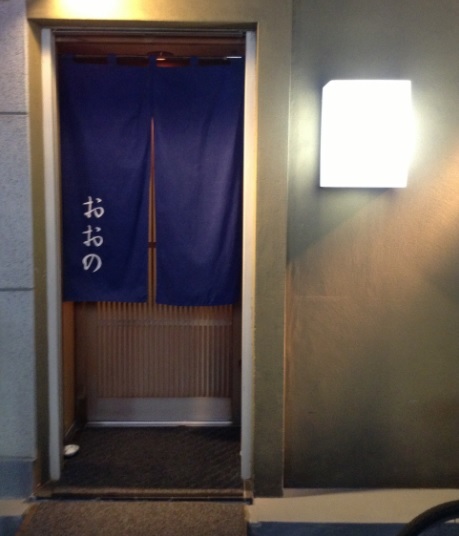 It is also a proper 1 star Michelin sushiya outside of Japan. Its does not have the tsukiji market in its vincinity but they import their fish from Japan. The knife as well as overall cooking skills is strong for this category of sushiya (comparable to a respectable mid level sushiya if this would be in Tokyo), the tiny space so cozy, the service genuinely hospitable. 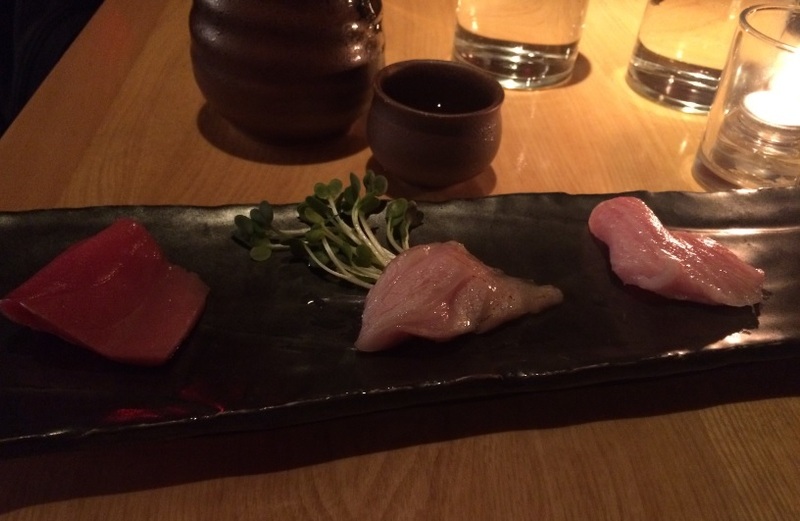 Overall food rating (categ: top tier sushiya in NYC) 8/10 – Top shelf sushiya in its category. Just remember that there are two seatings per night (we had our table available till 08:30 pm, therefore i presume that the first seating is from 05:30pm till 08:30 pm) and that its sushis are of the classic sort (no experimental sushi here). What do I think days later: One of the foodie friends who has recommended Azabu told me to expect excellent sushi but not unparralleled one. 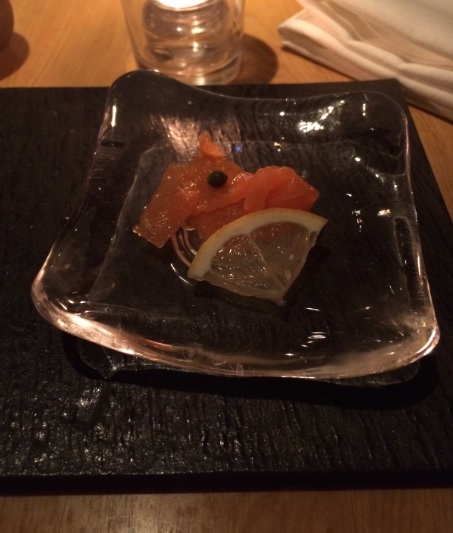 Azabu was exxellent, indeed, as they fed me, up to now, with some of the best sushis that I ever had in NYC. 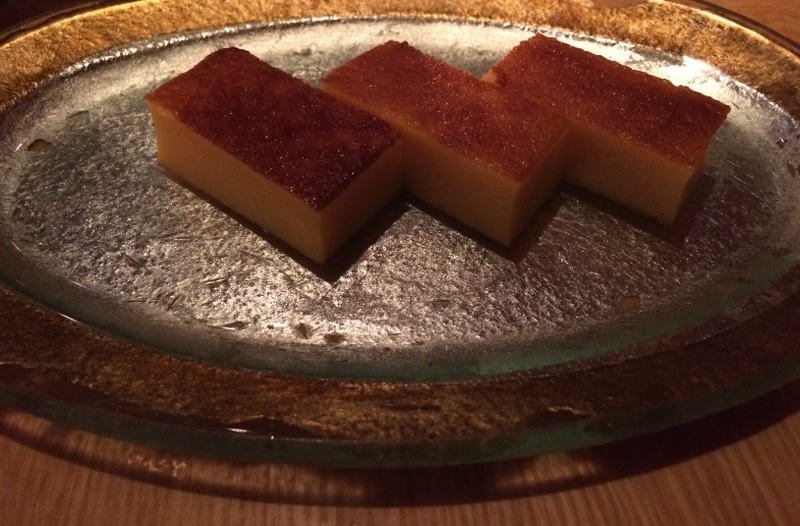 As ever, restaurants do sometimes change some items on their menus, as I noticed, in old online reviews, that they once had a tamago similar to a creme brulee at Azabu. 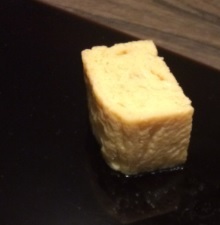 I doubt that such tamago would have the same impact as this tamago that deserved my praises, but I can only talk about the food they served me, of which I admired the precise slicing of the fish and assured technique in virtually everything (marinating, smoking, coaxing delicious flavors, etc). 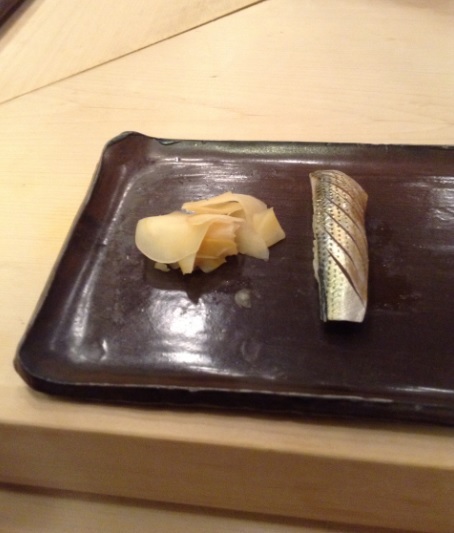 Based on what I came to expect from a 1 star Michelin sushiya outside of Japan, Azabu did impress by not sticking to a safe/correct performance as it is so common at the big majority of eateries in North America. This was clearly the work of skilled Chefs with their personal imprint rather than some dudes replicating whatever someone else has asked them to simply replicate properly. 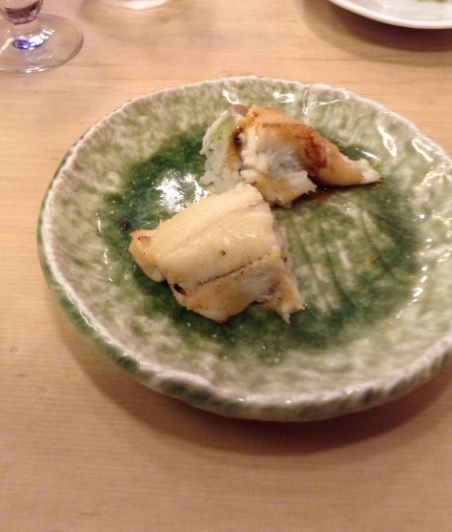 Sushi Azabu also knows how to make the experience of a diner enjoyable, as, to take an example, there is no need for all parties of the same table to partake in a tasting menu. I can have my tasting menu while my girlfriend enjoys whatever she wants to eat. And here, there was not one single rotten apple that happened to find his way in the service with the sole intent of ruining your appreciation of the dining experience and the superb work of the rest of his team as it was the case during my last visit at another 1 star Michelin, Torishin. 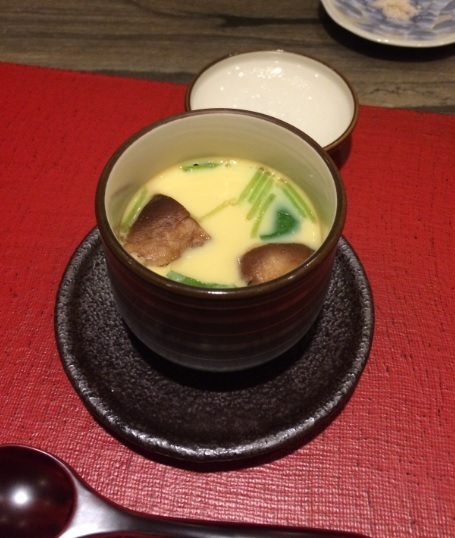 Was my foodie friend right when he mentioned that Azabu was not unparralled? 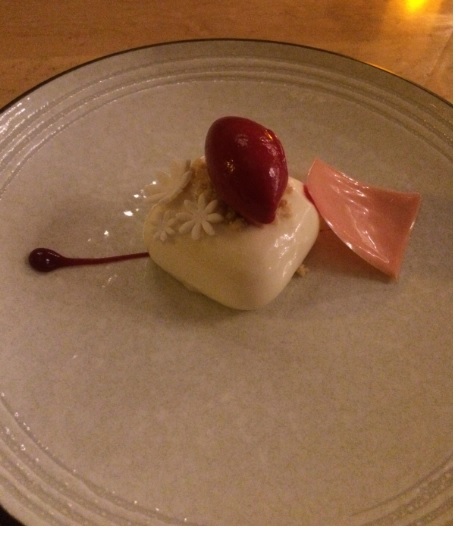 If you find a 1 star Michelin that is unparralled, then it is a 3 star Michelin. Lol. Unparralled is what you should expect at a 3 star Michelin, not 1, and yet a fraction of the 3 stars are unparralled. 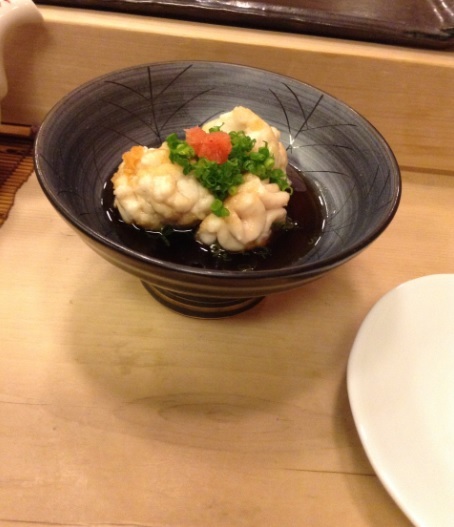 I loved sushi Azabu. Sushi Oono was one of the two ultimate (the other one was Sawada) sushi meals of this trip. By then, the other Sushi shops that I have tried have been Sushi Mizutani, Sushi Sawada, Sushi Sho, Sushi Iwa, Sushi Aoki and Daisan Harumi. At Sushi Sho, Sushi Iwa, Sushi Aoki and Daisan Harumi, I was with a tour guide so I spent most of my time talking to the person rather than bothering about reviewing my meals but I’ll still provide my opinion about those meals. I know some people hate comparisons and indeed, comparing is always an exercise of imperfection, but such is the nature of any opinion anyways and at the end of the round, unless the matter does not interest you or you are trying to play the ‘diplomat foodie’, you still have personal preferences. And preference, like it or not, that implies comparison. So, Sushi Mizutani was the benchmark Sushi shop of this trip, Sawada was my preferred Sushi meal (eventhough some aspects of the food did not float my boat, but again food appreciation is subjective/personal so consider that when you peruse my review). Sushi Sho ages his seafood and I was curious to see how I would appreciate it…alas, my palate got to the conclusion that although some seafood are fine when you age them (tuna, for eg), most could have been more exciting in mouth without the aging method (I know, it’s supposed to be the opposite, but for my palate that theory is at its best on paper), especially for sushis. I was born and raised in a fishermen village of the Indian Ocean and I do have fond memories of people rushing to the shore to avoid missing the freshest pieces of seafood that those fishermen were so proud to have snatched from the ocean floor just moments before and I am trying to imagine myself telling to my fella fishermen ‘hey Buds…take all your time…there is no rush..anyways we’ll age your seafood instead of enjoying it in its freshest state so you may as well let it rest for a while on the boat…”’….. A long time ago, aging seafood was indispensable by necessity, but that does not mean you should age all seafood. You need to know what seafood truely shines when aging it and that is where my problem lies: not ALL seafood are at their best when aged!!! Naturally, fans of the fad of aging fish won’t like to hear this kind of opinion but as loud as they are, we’ll have to agree to disagree whenever they will cross my path. 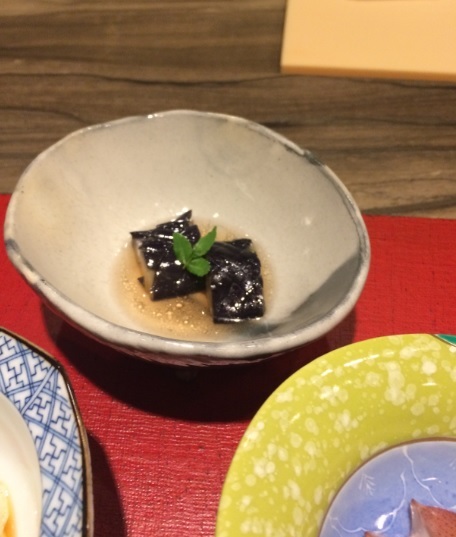 Daisan Harumi: interesting focus on the historical and educational importance of the sushis as I had fun learning a bit more about virtually everything that was flirting with my palate. Surprisingly, the flavors were not as ‘challenging’ and ‘old fashion’ as I was anticipating (for eg, no overly strong /brutal flavors, etc). When I was in Tokyo, I thought my meal at Sushi Oono was better and I was not that impressed with my meal here, but with time, it’s Daisan Harumi that is winning my heart. Daisan Harumi is not competing with the highly refined sushis of Sawada or Mizutani, it is not even trying to challenge Sushi shops of his rank (for eg, mid range Sushi shops like Sushi Iwa and Sushi Oono), but that does not matter as it is has its unique identity, doing things the way it deems worthy of its very own standards. The freshness of some of the seafood at Daisan Harumi did, at times, brought back memories of my tender childhood growing up on the shores of the Indian Ocean (minus the full-bodied maritime flavor of seafood fished in warm waters, obviously). Therefore, a very special place for very personal reasons. Sushi Iwa: the most refined sushis of my mid range Sushi shop experiences in Tokyo, for now, and the best of that category, during this trip, for me. 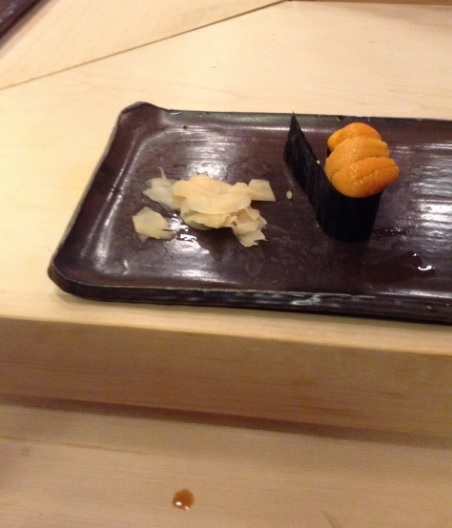 Some online accounts argued that it was good but not at the level of the top tier Sushi Shops of Tokyo. Well, that is comparing apples to grapes as Sushi Iwa is a mid range Sushi shop (second tier) establishment. 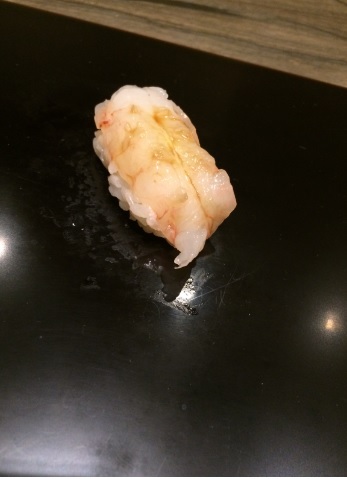 –Sushi Aoki (Ginza): the tastiest and preferred sushis of my mid range Sushi shop experiences in Tokyo, for now. Sushi Oono (one of the better rated Sushi shops of Tokyo –with a score of 4.15/5 — on the major local restaurant rating web site Tabelog http://tabelog.com/tokyo/A1301/A130101/13024790/) came as an alternative to Sukiyabaki Jiro in Ginza + Sushi Saito (impossible to book for the normal diner / by normal diner I mean any anonymous/normal person who calls a restaurant and wants to book a seat without the need of having contacts, or being a regular patron, or having the status of a poster-diner, etc), as well as Sushi Yoshitake (willing to find an availability for me but the schedules did not match). 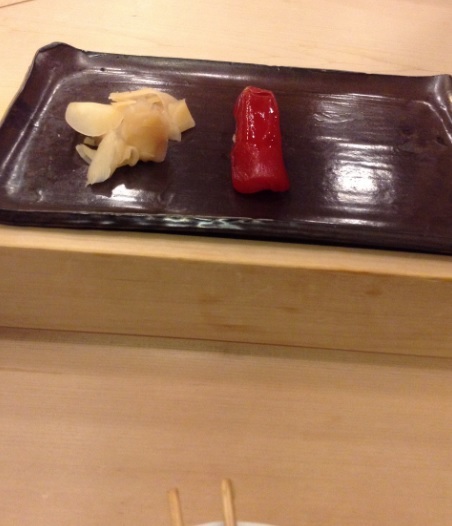 PROS: his pickled vegetable items were very enjoyable (there were plenty of those in between their sushi servings). I found the pickled items to have been the strong point of this meal. 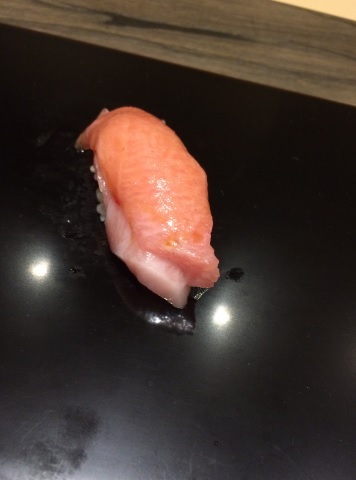 CONS:it is the same problem as everywhere else in Tokyo…..it is hard for the mid level Sushi shops to find the finer produce that a top tier Sushi Shop like Sawada or Mizutani can get. 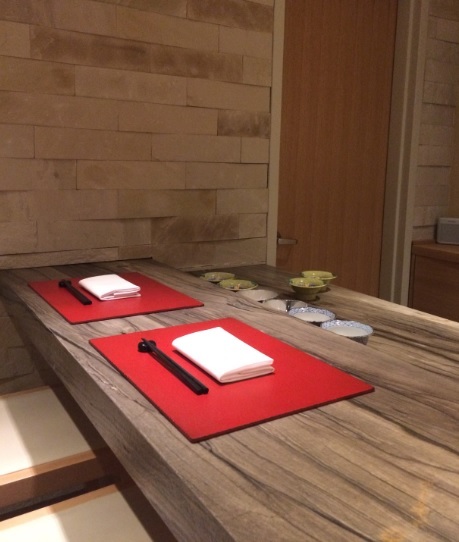 It would be flawed to compare Sushi Oono, a 1 star Michelin and mid-range Sushi shop to top range Mizutani and Sawada, alas …even within the mid -range shops, I found my meal at Sushi Oono a bit too safe /clean / linear. If there is one thing I dislike it’s a performance that errs on the side of caution (no bold seasoning, no spectacular marination, no outstanding curing technique, etc). I appreciate that Sushi Oono is doing well enough for a mid-range sushi shop in Tokyo, but I am not exactly enamoured with such overall non risk-taking experience. (1)How great the quality of the chosen rice stood against what the other sushi shops of this trip have offered – The work of the rice at those high-end sushi shops of Tokyo is serious, but no more,meaning the sourcing is good, the rice cooking achieved with care but none of those sushi rice standing as spectacular as what some of the raves may suggest. 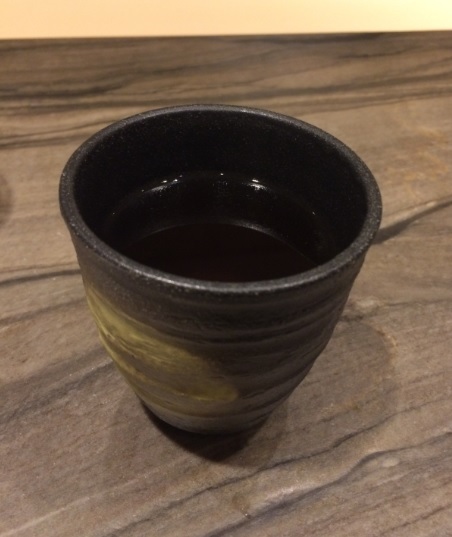 So at Sushi Oono, there was no exception to that rule: he would flavor most of his shari with a blend of white based vinegar, one of last sushi had its rice flavored with red vinegar on this evening, the consistency more hard than soft, but pleasant in mouth. No bold seasoning of the rice. The rice is of course of good quality, but its flavor very discrete so that the fish pairs well with the rice (2)How harmonious or spectacularly bold the work of the seasoning of the rice is achieved while remaining complementary of its topping – No bold seasoning here. Nothing spectacular neither. Just good sushi rice that does not taste strong so that both the fish and the rice do combine well together (3)How delicious and how perfected (temperature/precision of the knife skills/work of the textures) were the sushis compared to the other sushis of this trip- great knife skills for a Sushi shop of its standing. Work of textures and control of temperatures were flawless during this meal, the sushi enjoyed at proper body temp (4)How far the sourcing was pushed and how far it revealed a profound understanding of the subtleties of the produce (it is one thing to have top ingredients, it is a different story to pick that precise ingredient from that specific region which on a given point in time will allow your craft to express itself at its best). 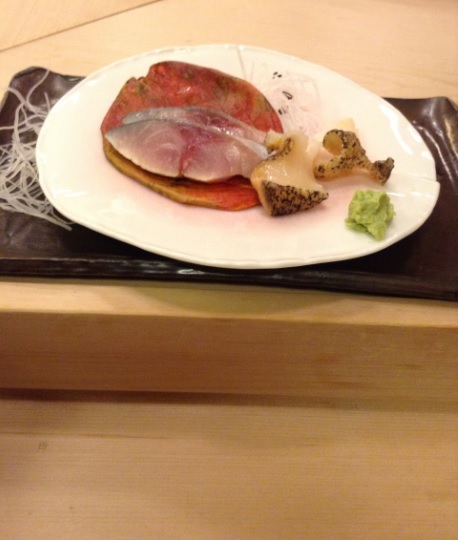 Sourcing was decent, not a highlight as it was oftently the case at most Sushi shops of the 2nd tier level. 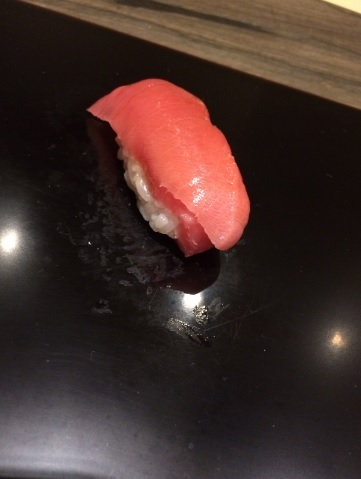 Overall food rating: 6/10 (Categories: Second tier Sushi Shop in Tokyo, Mid range Sushi Shop in Tokyo): At Sushi Oono, I was extremely lucky on the dining experience front as the other patrons were super friendly, the Chef humble and the overall experience highly enjoyable. It is on the aspect of the food that I felt I needed to get a bit more for my money , especially in light of the reputation of the house (in the top 10 Sushi Shops of Japan, etc). 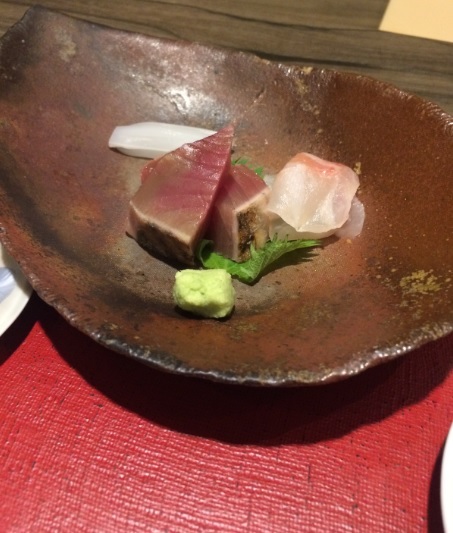 Virtually everything was fine (decent quality of the tuna, decent work of the rice), but no more (no outstanding work of the flavor of the mackerel, no outstanding quality of the produce, etc) . 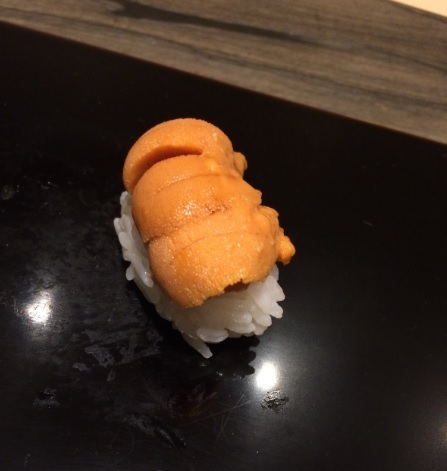 That said, it’s not a reproach to Sushi Oono at all as in general, I found that the Sushi-shop ‘system’, in Tokyo, regulates itself by clearly allowing the 1st tier Sushi Shops to have access to fish that the second tier will have to fight really hard for. Kinda logic/expected, indeed. My visit here is about the sushi (obviously), but I also ordered couple of non-sushi items just to get a better general impression of the depth of the cooking at Yasu. As ever in Montreal’s & surrounding sushiyas, as great as they might stand (by local standards, I mean), there won’t be any attempt at surprising the customer with freshly grated wasabi root, so wasabi in its paste form is the norm. 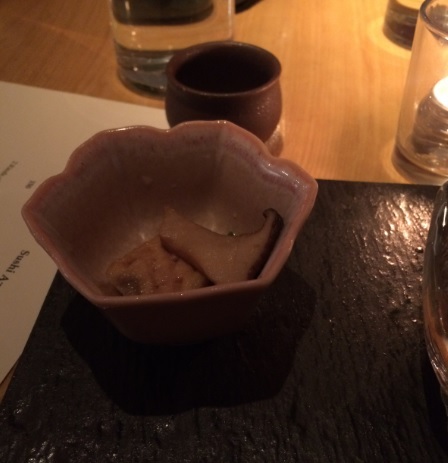 The gari (pickled ginger) was properly made though. 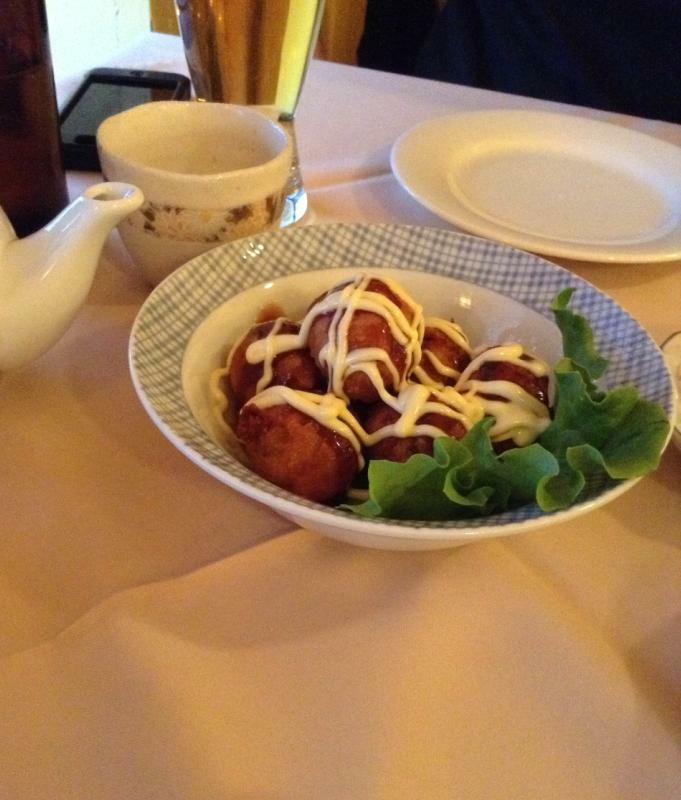 As some non-sushis items I was particularly interested by how they make their tempura as well as the takoyaki balls. Those are two items that I am curious about in order to assess very precise elements of the cooking skills of such place. My verdict: 5/10 Some of the sushis were fine (by local standards), but I don’t understand how they could fail at delivering items as basic as a tempura or a takoyaki ball. 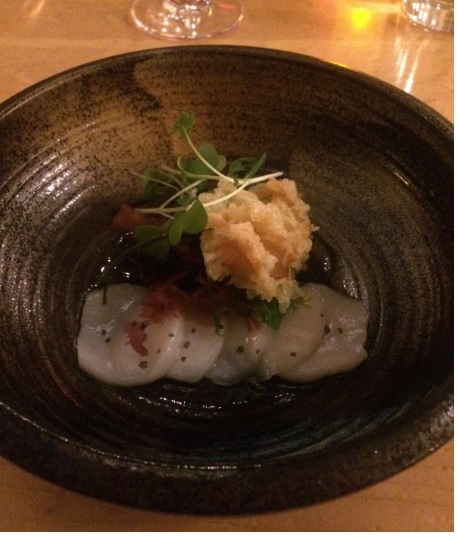 Needless to stress that I was disappointed by this meal at Yasu. The Master Chef is perhaps very popular among Japanese people (according to most online accounts) but such meal is not consequent with his fame. Yes, I can see why this place is popular: the prices are low…but I went south shore to sample the food of a great Chef, NOT the evidence that the food is affordable….